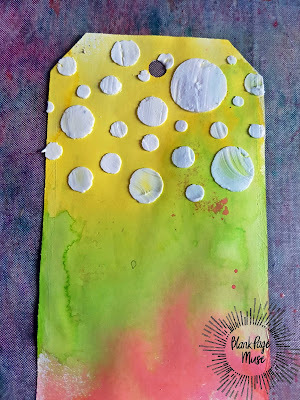 I have a very summery tag to share using bright colors and the "New" surfboard stamp by The Blank Page Muse. 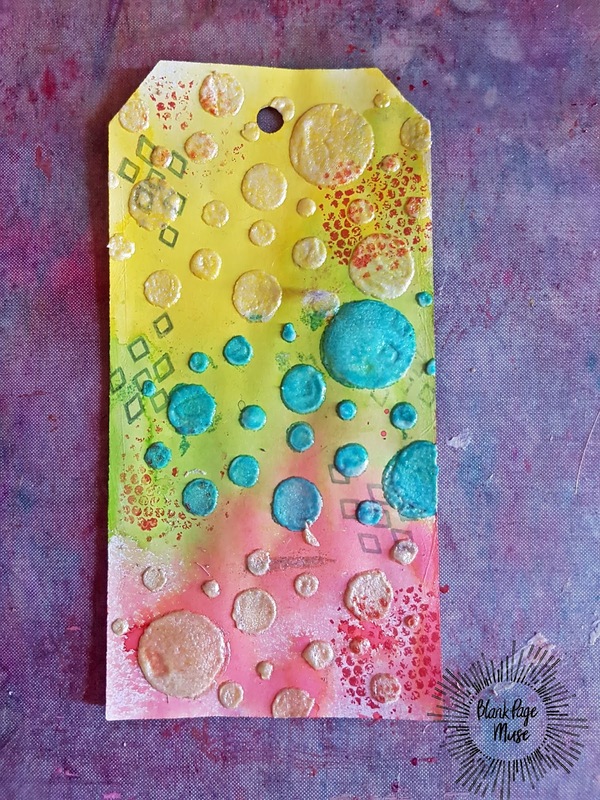 Hearty Doodles - texture stamps. Gems, pearls and other small embellishments. 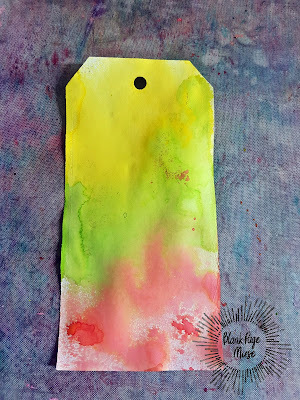 Start of by using three different colored mist sprays on the tag as shown. 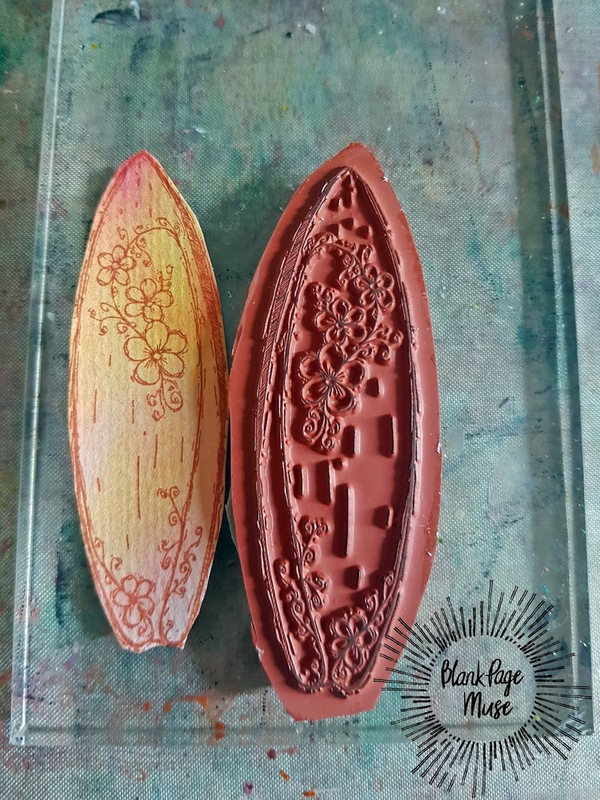 Apply a stencil mask using modelling paste and then sprinkle over the top with embossing powder. Heat the powder until it has set and the modelling paste has dried. Next tack a mixture of texture stamps and stamp them randomly around the tag. 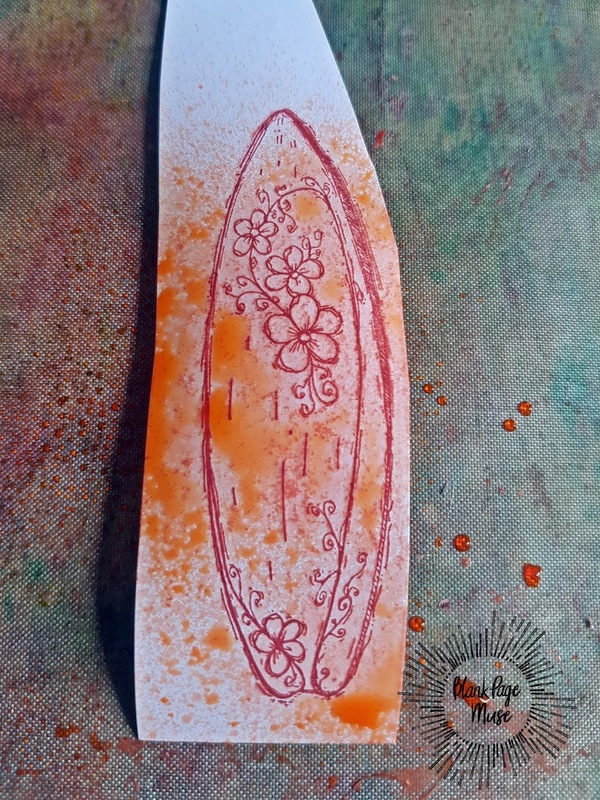 Stamp out the surfboard stamp and flip flops onto card and spray with inks to add colour. Once this has dried cut it out and adhere to tag. Stamp out the sentiment onto card and ink before cutting out and adding to the tag. Finish the tag off by adding a variety of embellishments. 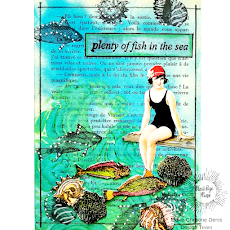 So fun and such perfect color choices, makes me feel Summer. That texture, to die for!